"I am 65 years old with limited computer knowledge. I carried out your instructions and now have a fully repaired WindowsXP. I had asked a computer mechanic to look at my computer and after 3 hours he decided that I would have to do a clean install with all the hastle that such action entails..Your system is simple to use and I can only say a big thank you!" 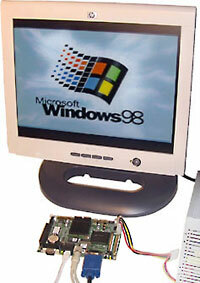 98lite is our unique system utility to customize and tweak Windows9x for performance and embedded computers. Free demo available! Use 98lite to surgically add and remove Windows features, speed up your desktop and boot times and totally remove technology you dont want or need. 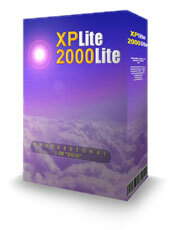 98lite is great for running Windows under emulation on linux or macs. The penguin has never run windows so fast. boot times from 3-10 seconds! run from 1" hard drive, flash memory, removable USB keys whatever! We can take your program or concept from the desktop phase to a dedicated compact flash drive or similar storage that is ready for customer distribution in just a couple of weeks. 80% of our projects fit on a 32MB flash drive, many smaller! Contact Us and let us assist in your success. Windows 98 booting from 16MB Compact Flash on a Jumptec single board PC with 3MB FREE space - NO compression, NO ramdrive! !